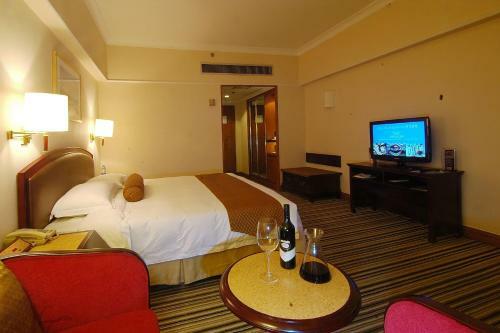 Housed in Lido City, Metropark Lido Hotel (formerly Holiday Inn Lido Beijing) is a modern 4-star hotel integrating accommodation, restaurants and bars, apartments, business centre, leisure facilities and schools. Located 1.6 km from 798 Art Zone, it features gourmet cuisine across 3 stylish restaurants and free wired internet access in the guestrooms. 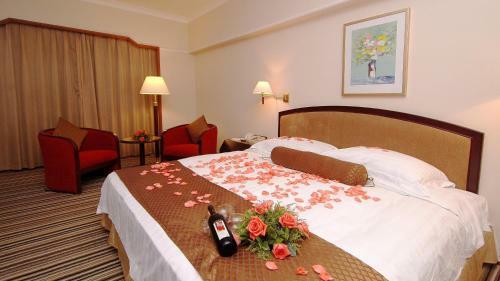 Metropark Lido Hotel is 4.7 km from China International Exhibition Centre and 17 km from Capital International Airport. Sanyuanqiao Subway Station (Line 10) is a 5-minute drive away, which provides easy access to plenty of famous tourist attractions. Beijing South Railway Station lays 35 minutes' drive away, while Beijing West Railway Station can be reached in 40 minutes' car journey. 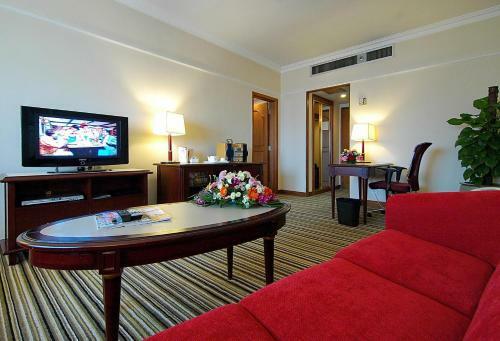 With classy ruby red and brown as the main shades, the fully air-conditioned, carpeted guestrooms offer spacious interiors with a minibar, a working desk and a flat-screen TV with cable and satellite channels. The en suite bathroom comes with a bathtub. 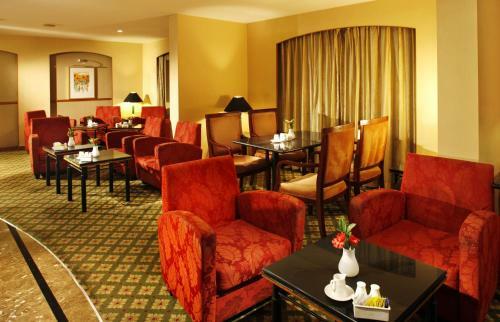 Guests enjoy free access to the fitness centre and the swimming pool. Day trips may be arranged at the tour desk. 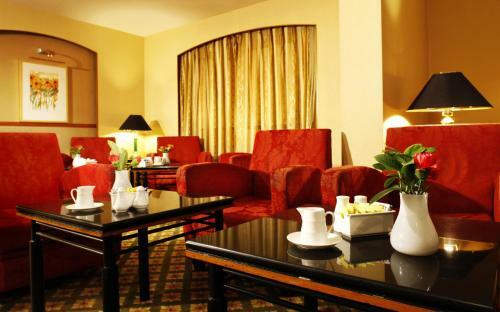 The hotel also provides a business centre with secretarial services. The three restaurants serve a wide range of Asian and Western dishes. Drinks and light refreshments can be enjoyed at the English Pub. Цена: CNY 360.00 ... CNY 1598.63; select dates below to get current rates.